The MSR213U is ideal for retail systems, time keeping systems, security systems and other card reader related systems. The MSR213U series are designed to offer the user a card reader solution that will complement many applications. 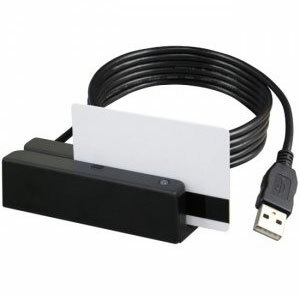 Triple track of MSR213U is uniquely designed to read both credit cards and Driver Licenses (AAMVA and California standard). MSR reader, Swipe type, USB interface, triple tracks, buzzer/LED, Beige. Made to order, minimum 500 unit order. Simple installation, reliable use, my people love it. Simple and straight forward to use. Very reliable. Paste output into apps and online commerce. It is simple and works well as noted. Simple but very functional.